4 months classic shipping calendar with custom imprint in East Europe at fair prices. 2 diferent models available in 6 colors schemes international 4 month calendars. 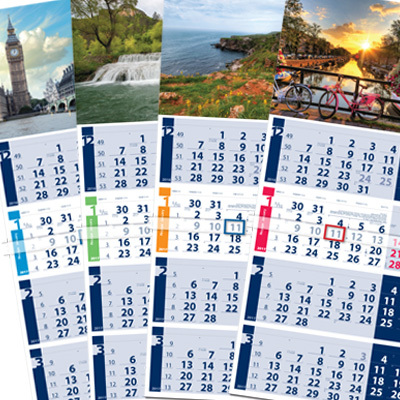 Calendar pads are also available from stock. Distributors and printing houses are welcome.